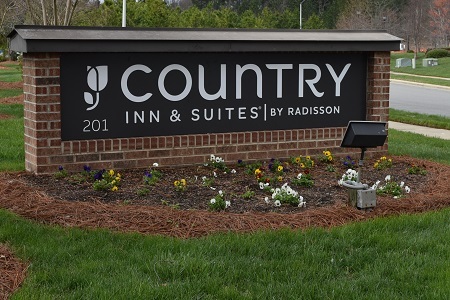 Less than two miles from Raleigh-Durham International Airport (RDU), the Country Inn & Suites® by Radisson, Raleigh-Durham Airport, NC places you in the heart of the Tri-City area. 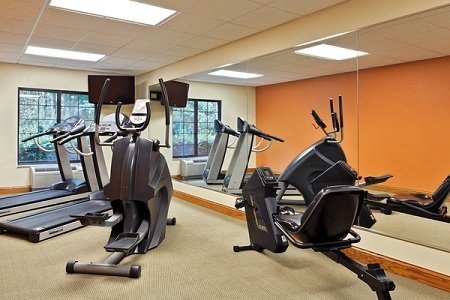 The hotel sits near Research Triangle Park, making it perfect for business travelers. Are you visiting Duke, UNC or NC State? We’re less than 20 minutes from each school. In Morrisville for a long business trip? Book a spacious Extended-stay Suite, complete with all standard amenities as well as a kitchenette with appliances, pots and pans. At our hotel’s free, hot breakfast, you can savor a waffle, sausage, scrambled eggs and coffee. For a quick bite, grab an apple and yogurt to enjoy on the shuttle ride to the airport. When you’re ready for lunch and dinner, try a nearby restaurant like Babymoon Cafe, a Morrisville favorite. Enjoy Italian cuisine under the restaurant’s star-studded ceiling, or have your meal delivered to the hotel. Crabtree Valley Mall – For the best shopping in the Triangle, make your way to Crabtree Valley Mall, about 10 miles away. Browse almost 200 shops for bargains, college apparel and your favorite brands. North Carolina Museum of Natural Sciences – The largest of its kind in the Southeast, the North Carolina Museum of Natural Sciences in downtown Raleigh invites you to meet extinct carnivores, hang out with butterflies and even sign up your cat for a Citizen Science project. You’ll find these entertaining exhibits just 12 miles away. Raleigh Farmers Market – Selling more than just local produce, the Raleigh Farmers Market is home to a variety of vendors. Shop for handmade candles and soaps along with local wine and global pottery just 20 minutes from the hotel. 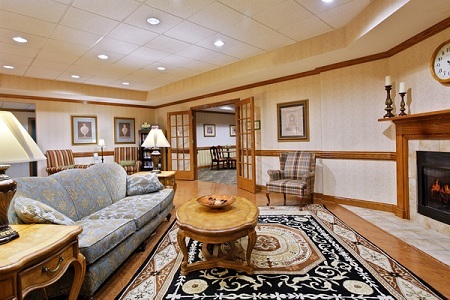 With three banquet rooms that can host 150 people, the Country Inn & Suites is a great place for your next celebration or conference. 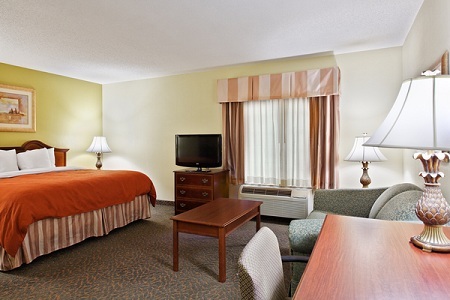 Your guests will appreciate the hotel’s proximity to Raleigh-Durham International Airport and Research Triangle Park. Ask about our special rates for visiting teams and other large groups.